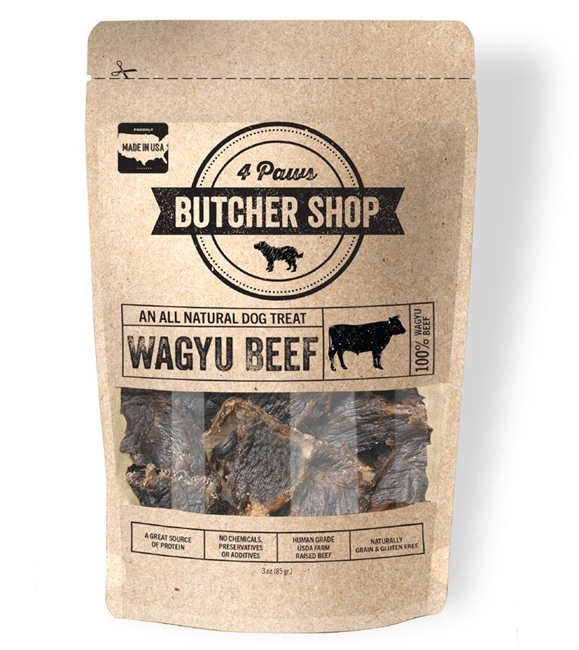 They'll be waggin' for wagyu, garanteed! The uber-jerky for your BFF. 4 Paws Butcher Shop crafts the ultimate in protein-based treats, slowly roasting on open racks which locks in the natural goodness and flavor of their prime cuts. Slow roasting also preserves the meat allowing the treats to be taken with you anywhere, without a need for refrigeration. It’s as simple as that! 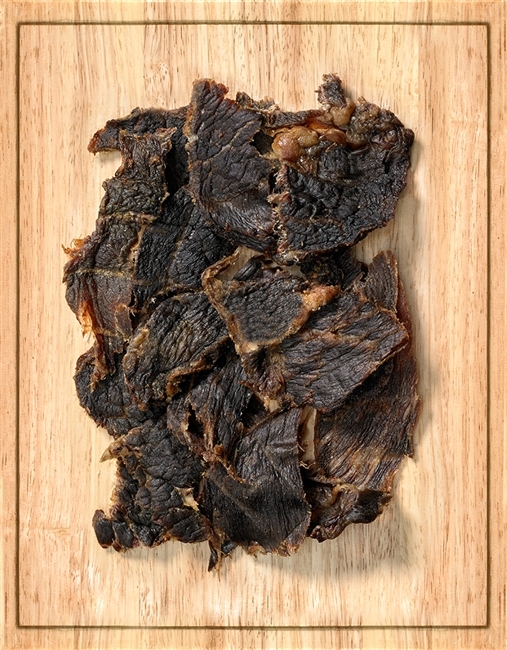 Ingredients: 100% USDA human grade oven roasted wagyu beef, farmed and produced in the U.S.A.